Azure Siesta Key is a 3-unit luxury, boutique condominium project, with deeded beach access, located on Siesta Key in Sarasota, Florida just steps from the Gulf of Mexico. Owner has completed assemblage in order to be able to build 3-units. Floor plans and elevations are complete. New owner/developer can can step in and get started in approximately 60 days. There are very few opportunities with RMF-3 zoning ever offered on Siesta. This is an outstanding opportunity. No minimal rental periods adds greatly to the value. • Each planned unit will have private deeded beach access to America’s number one beach. • All three units will feature individual pools and cabanas. • With assemblage, zoning, floor plans and elevations done, expected completion date is the fall of 2019. • Market data indicates that units at Azure Siesta Key will appeal to both end users as well as investors alike. 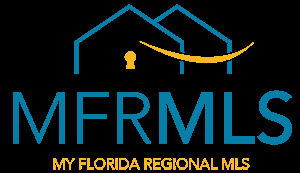 • As an investment, the RMF-3 zoning permits no minimal rental periods, allowing owners to maximize rental income by subsidizing their purchase should they choose to place their unit in a rental program. Owner may consider build-to-suit scenario, to deliver the building completed on a case by case basis.